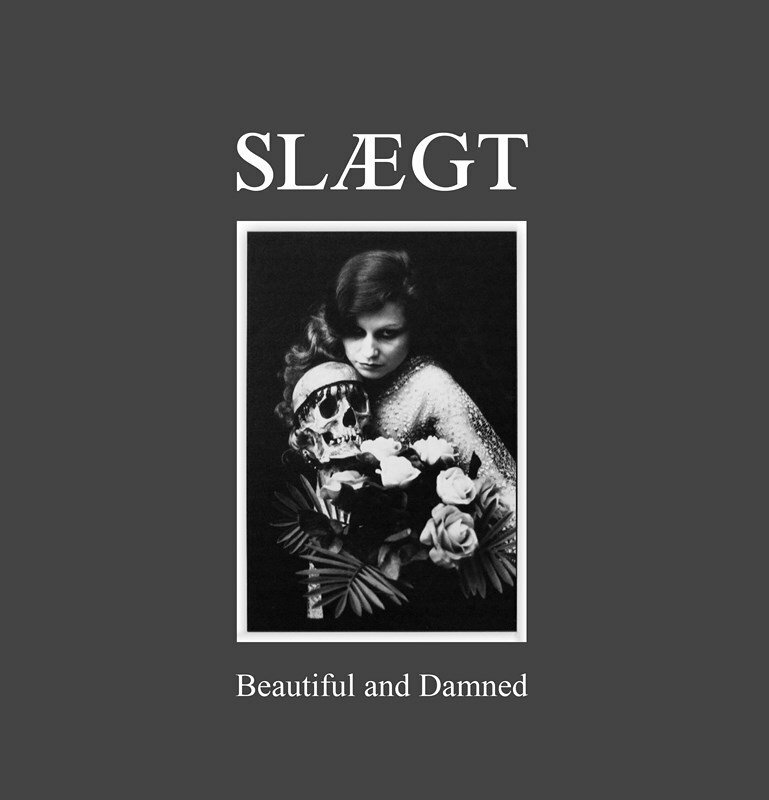 Slægt (which translates to bloodline) wasted no time carving their name into the bedrock of Danish metal last year, first releasing the primitive and punkish début full-length “Ildsvanger”, then scrapping its Darkthrone idolatry, and finally revolutionising their short-lived sound with an EP carrying the title of “Beautiful and Damned”. Somehow in that whirlwind of activity however, our little publication managed to put on the blinkers and miss both of those records. Not one to let such an oversight stand, the latter outing recently took residence in the undersigned’s staggering review queue, to coincide with the band’s being a hot topic of present, not least by virtue of earning a support slot at Primordial’s headlining concert in Copenhagen. As teased in the preamble, “Beautiful and Damned” performs a radical shift from the raw, lo-fi extremity of its predecessor, and toward a more melodic style which sounds like a glorious fusion of Dissection, Iron Maiden and Tribulation. Or, as some have suggested, what ‘Maiden would probably sound like had the legends sworn allegiance to black metal instead. 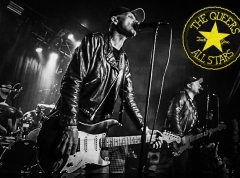 The three songs (plus an instrumental interlude) that comprise the effort are sumptuously melodic, with a strong flavouring of classic heavy metal, and lashings of darkness to give the EP a distinctly cheerless, nordic tone. Despite its suddenness, the turnaround sees Slægt settle into a niche of its own as merchants of what the four musicians have dubbed ’black heavy metal’, and constitutes a leaping step forward in terms of lasting value as well as offering an intriguing glimpse into the band’s future direction. Where “Ildsvanger” represents the worst kind of black metal truism, catering only to those who prefer music to sound like it was recorded through a shoe, “Beautiful and Damned” prefers a deep and crisp production mix that nonetheless preserves the analogue feel of old-school metal. Both the opening track “Move in Chaos” and the following “Alshinecheri” make a compelling argument against the destitute minimalism that continues to plague extreme metal; the songs still sound absolutely menacing in that cold, Dissection-esque way — not least because of Oskar J. Frederiksen’s snarly growl — but the swirls of harmonised melodies, blazing guitar solos and coinciding changes in tempo also fit them with engaging dynamics. The latter in particular is arresting as soon as lead guitarist Anders M. Jørgensen lets rip with an effervescent solo like an antidote to Frederiksen’s grim staccato riff at the beginning, and once the song bridges into a steamrolling epic of double pedal pummel (by Adam Nielsen) and biting tremolo, your coming infatuation with Slægt will have begun. And if not, there is still the matter of the title track; initially a forlorn but grandiose doom ballad, “Beautiful and Damned” rips and smashes through marching black metal, Amon Amarth-y heroism, a bittersweet minor-key harmony straight out of ‘Maiden’s treasure chest, and naturally a soaring guitar solo before concluding as it began. 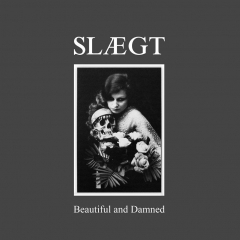 The piece consolidates the entire palette of Slægt’s disparaging inspirations into a tight seven minutes and leaves you wondering how to sow that new brown hole back together. Some rough edges of course remain to this stuff — most notably the fact that those truly unforgettable hooks that, say, the similarly inclined Tribulation tends to muster, are never really introduced. But then, “Beautiful and Damned” comprises just three full songs, each of which brims with potential and should have any connoisseur of extreme metal salivating at the prospect of an eventual sophomore full-length.